These optional combinations allow the user to set-up a machine for his specific application demands. 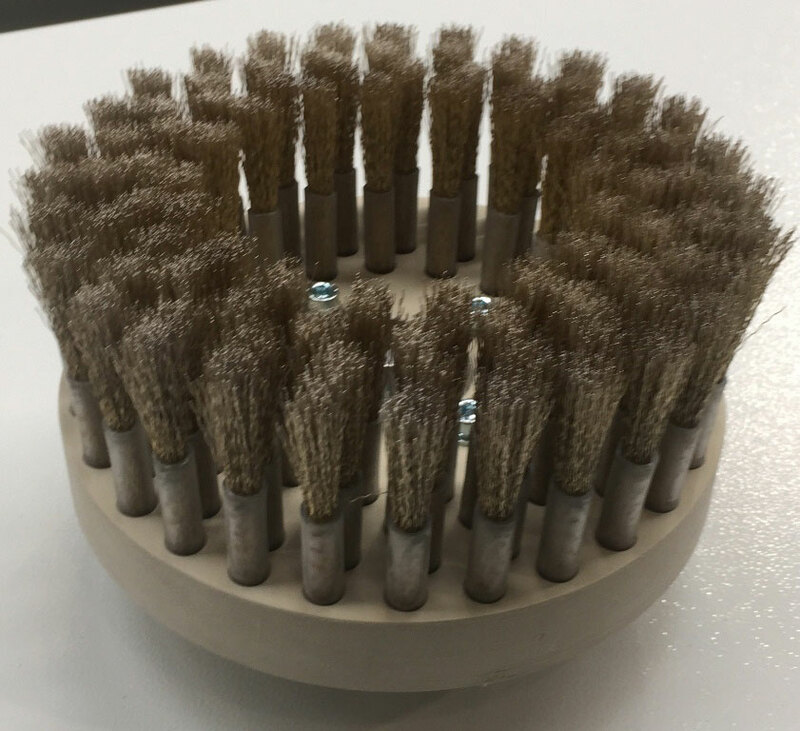 The double brush consists of a pair of sanding drums. One working clockwise, followed directly by a counterclockwise unit: Only in this way it is ensured that, independently of the wood grain structure, all upstanding “hairs” are denibbed. 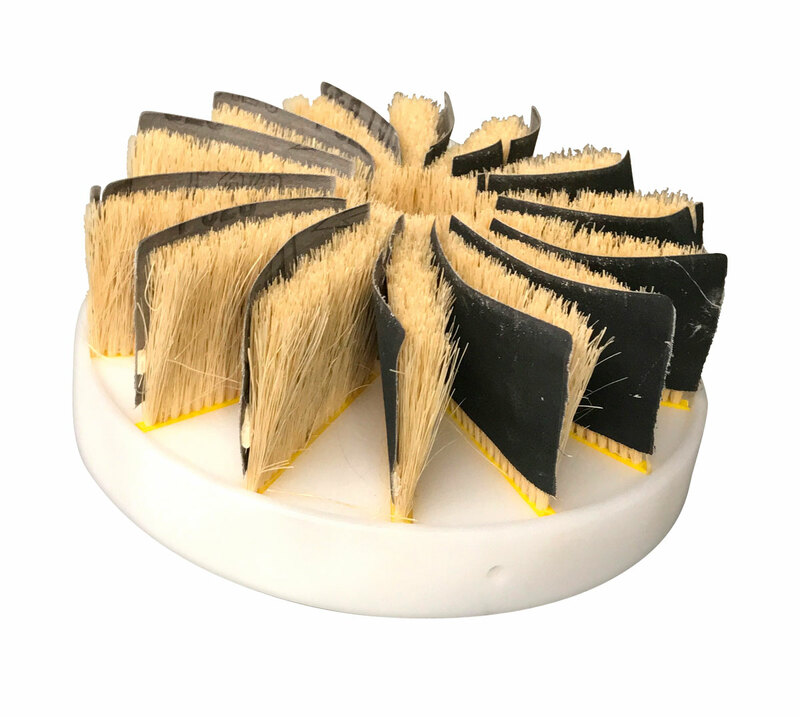 The double brush is followed by a Profi Disc system that sands the work piece in all corners and edges. 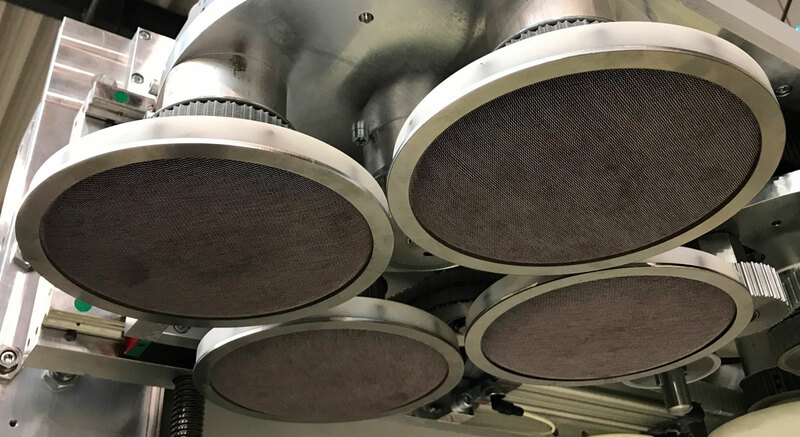 This is made possible by the 3-axis disc system which is a special MB design: four rotating 200mm disc tools with 14 abrasive strips each are mounted on three master discs that also rotate. Additionally the entire unit oscillates back and forth. All axes movements can be regulated separately. Due to this the sanding pattern can be influenced visibly. This kinematics is copying the hand sanding process of an orbital sander and guarantees a uniform surface structure. New is the reinforced disk unit, which now can also be used for light structuring and calibration work. For this purpose it is placed at the inlet of the machine and adapted to this task by the use of special disc tools: Discs with steel wires are used for texturing, being able to perform regardless of the grain direction of the wood. The plain Micron discs are used to sand flat surfaces and create a chaotic sanding pattern that can be easily covered by a topcoat. Conical discs make it easier to sand part edges and V-shaped groves, allowing the sanding tool a better reach of the milled contours. 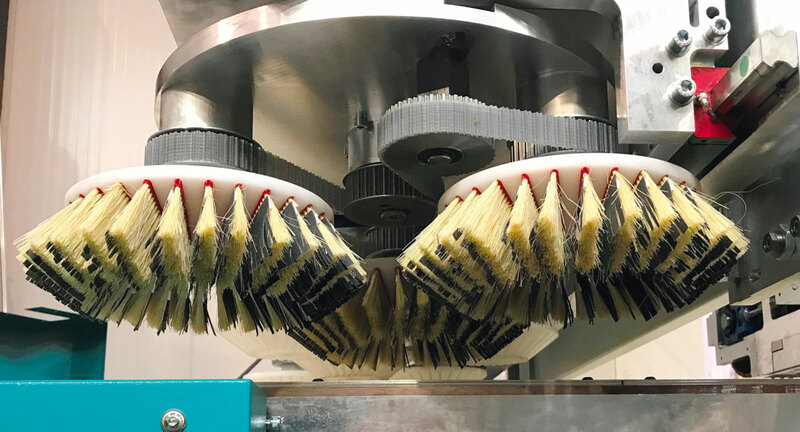 An optional cleaning unit at the machine end contains a specially manufactured cleaning brush, an ionizing bar and air knife. 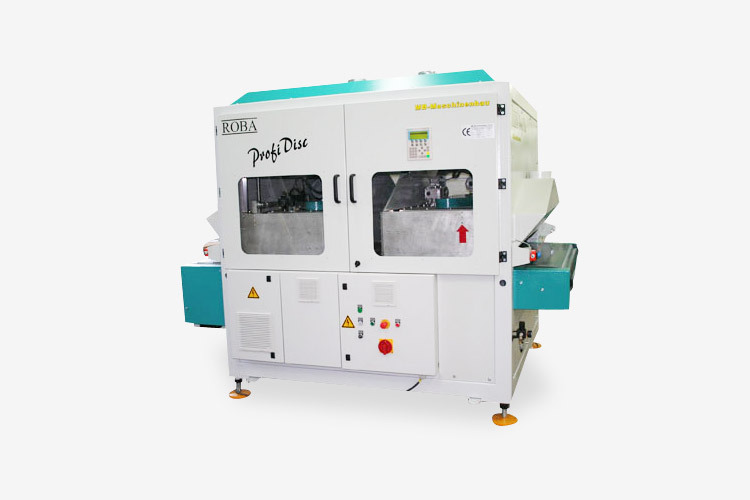 In the basic configuration the encapsulated machine has a pressure roller hold-down system. For small work pieces the machine can be equipped with a vacuum transport, further on with a motorized height adjustment of the ­aggregates.